Do you remember Myspace? You know that other site. Well it's obviously still out there, but its popularity is down considerably. I remember sometime during the peak of Dolphin 6.0x and 6.1x that was all you heard about. There were a bunch of Dolphin mods available at the time to make your web site more like MySpace. Now along comes Facebook with soaring popularity and sure enough you see a lot of Dolphin 7 mods, modules, and templates to make your web site more like Facebook. Twitter is also gaining popularity. It is certainly easy to use and not much to it. It's not that interesting to me though. All I make out of it is basically a text messaging system limited to 140 characters. I am not really that interested in reading short 140 character text messages from people I don't know all day long. There are spammers everywhere, but Twitter seems to have a few more than ordinary. It seems like many are trying to push some kind of product or program over there all the time. I never really understood why a lot of people want to make their web site more like another popular site. If a site resembles and has similar features like Facebook it doesn't make me want to join. In fact, I am usually not interested in these sites at all. Why wouldn't I just use Facebook if that was the case. I prefer something easy to navigate and use. Something unique and different will spark my interest more than something that has been done so many times already. You can spend all kinds of time and money to make your web site pretty with a bunch of modifications and features. That doesn't mean that it will do any better than a more simple looking site. If nobody can find it or if they don't know about it then it won't perform or do that well anyway. If you were to compare MySpace and Facebook which one has a much more simple design and layout? Which one is much easier to use and understand? Which one is easier to communicate and participate with others? I'm sure you can think of many more, and I think you get the idea. 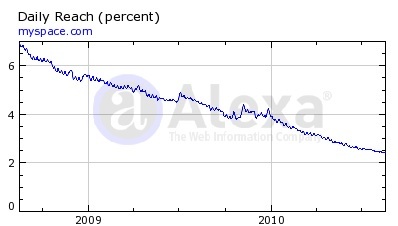 Alexa traffic stats isn't the most accurate, but for the top couple hundred sites it is fairly consistent and a bit more accurate. 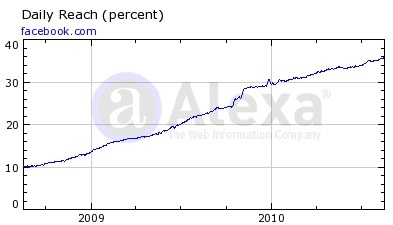 Currently, according to Alexa Stats Facebook ranks #2, Twitter ranks #11, and Myspace ranks #29 (and falling). If you look at these 3 sites reach you will see Facebook and Twitter have been rising steadily for the past year or so. 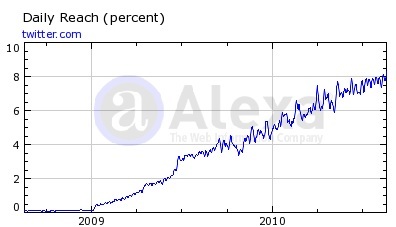 Have a look at Myspace and you can easily see the loss in traffic over the past year. Ouch! I bet MySpace wish they had sold it when they had the chance. I have a feeling it's almost too late for them now.